Manuka honey is the new ‘it’ thing in the beauty world. Manuka honey is the new ‘it’ thing in the beauty world. While all varieties of honey have amazing moisturising properties and are rich in vitamins, flavonoids, and minerals- what separates manuka honey, especially manuka honey with UMF (Unique Manuka Factor) certification containing high levels of methylglyoxal or MGO, is its ability to fight bacteria, that helps it to protect the skin from harmful bacteria that can cause skin problems. If you want a cleanser that doesn’t leave your skin dry, you should give manuka honey a shot. Manuka honey pulls out dust and grime from your face without taking away essential oils from your face. Take a dollop of manuka honey and massage it on your damp face for a minute, rinse your face using lukewarm water, and pat dry. Your face will feel squeaky clean and refreshed instantly. Due to its high hydrogen peroxide content, manuka honey makes for an amazing skin brightener. Make a skin brightening scrub by mixing honey, cane sugar, and few drops of lemon. Massage onto skin and let the mixture sit for 10 minutes; rinse and pat dry. Using it twice a week will help you get rid of dullness and dark spots, and will leave your skin bright and radiant. Besides, having great antibacterial properties, manuka honey has amazing anti-inflammatory properties which makes it a great ointment for allergies like eczema, rosacea or psoriasis. Apply honey on affected areas and let it sit for 15-20 minutes before washing it off. This will soothe the inflammation and reduce itching and redness. Be it pus-filled pimples or acne scars, manuka honey clears them all; thanks to its powerful antibacterial properties. Apply a very thin layer of manuka honey on your acne every night before going to bed. Wash it the next morning. If you do it religiously, you'll see a major difference in your skin, within a week. 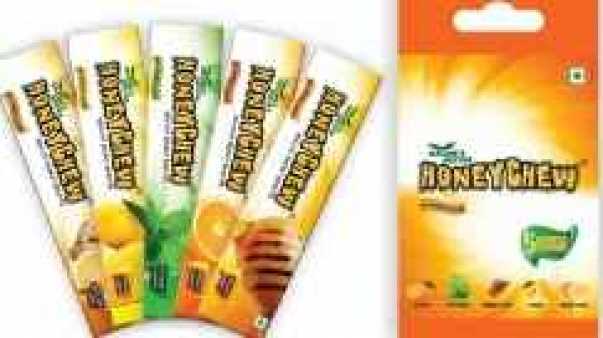 Honey is one of the best natural humectants available in the market. It quenches dehydrated skin and leaves it supple and glowing. Use manuka honey as face mask every day, and you’ll not need a moisturiser. Manuka honey is loaded with antioxidants. Antioxidants are said to fight free radicals that damage skin by stealing oxygen from it. Additionally, the amazing moisturising properties of manuka honey restore skin’s elasticity and promote cell regeneration, thereby, delaying sagging, fine lines, and wrinkles. If you’re tired of reapplying lip balm every few hours, and still not getting any results, you need to pamper your lips with the goodness of manuka honey. Slather on a thick layer of manuka honey on your lips (however tempting it might seem, don’t lick it) before going to bed and wake up with petal soft lips. Beauty benefits of manuka honey are aplenty. In order to reap the therapeutic benefits of manuka honey to their full potency, make sure the manuka honey you’re using is raw, organic and has a UMF of at least 10+. There is no denying the fact that manuka honey is slightly heavy on the pocket, but its umpteen benefits and infinite shelf life makes it worth the investment.